Letter "Q" / Page "1" / Games RA is a place to play all kind of video games, huge selection of action, adventure, puzzle, rpg, retro, fighting, halloween, shooter games online in your browser, no download required. | Games RA is a place to play all kind of video games, huge selection of action, adventure, puzzle, rpg, retro, fighting, halloween, shooter games online in your browser, no download required. QuackShot: Starring Donald Duck, known in Japan as I Love Donald Duck: Guruzia Ou no Hihou (Japanese: アイラブドナルドダック グルジア王の秘宝 Hepburn: Ai Rabu Donarudo Dakku Gurujia Ō no Hihō? ), is a 1991 platforming video game developed and published by Sega for the Sega Genesis. The game was released in Europe in 1991, in North America on December 19, 1991 and in Japan on December 20, 1991. 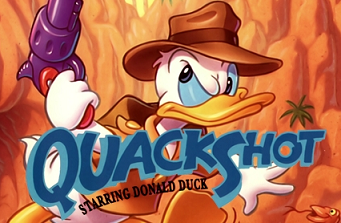 QuackShot stars Donald Duck and his three nephews, Huey, Dewey, and Louie, as treasure-hunters, and is part of a series of games published by Sega that were based on Walt Disney cartoon characters.QuackShot was released to mostly positive reviews from video game journalists. The game was universally lauded for its graphics, with magazines like Sega Pro describing them as "some of the best graphics around." 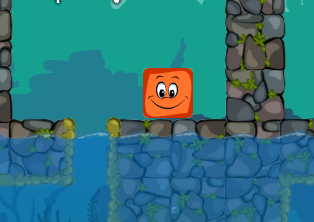 The game was also praised for its music and puzzles, as well as their clever use in the game. However, QuackShot was criticized for its controls, being described by IGN as "float-y" and making certain segments of the game unnecessarily difficult. The game was also criticized for its lack of difficulty overall as well as its lack of speech samples, which several other Genesis games of the time had. Quake is a first-person shooter video game, developed by id Software and published by GT Interactive in 1996 and featured music composed by Trent Reznor and Nine Inch Nails. 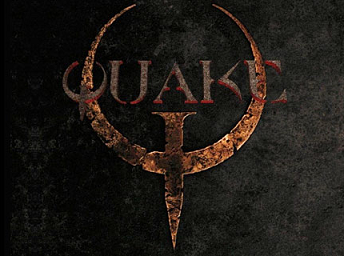 It is the first game in the popular Quake series. In the game, players must find their way through various maze-like, medieval environments while battling a variety of monsters using a wide array of weapons.The successor to id Software's Doom series, Quake built upon the technology and gameplay of its predecessor in many ways. Unlike the Doom engine before it, the Quake engine offered full real-time 3D rendering and early support for 3D acceleration through OpenGL. After Doom helped popularize multiplayer deathmatches, Quake added various multiplayer options. Online multiplayer became increasingly common, with the QuakeWorld update and software such as QuakeSpy making the process of finding and playing against other competitors on the Internet far easier and more reliable.